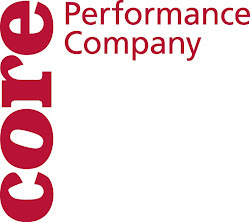 CORE Performance Company: Wednesday. Wahoo! It's Wednesday, the middle of the week and we are in the midst of lots of projects in the making! We started this week in the studio with ideas of minimalism as we explored what the minimalist movement meant in the various forms of art. All this research is informing our creation for Sue's site specific work at the Menil Collection museum- specifically for Dan Flavin's installation at Richmond Hall in Houston, TX. Check out these two links below! And to bring us to today in the studio, Amanda Miller returned to work with us on a piece she is creating for Tanz Farm in May. We moved and explored and played in nine points in space while Amanda helped us to understand that we have always been in these nine points and will continue to be. In fact, I am in them right now as I type. I'm not sure how you, the reader, is understanding this concept, but I hope it gets you pondering. Whew! We stay busy and loving it, so a big shout to wacky Wednesday. Wahoo!